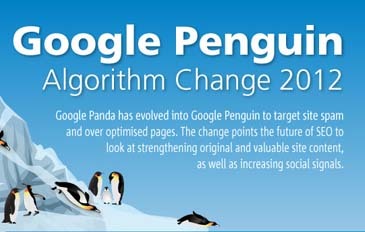 I want to share a fresh infographic that i found today.It is created by E-Web Marketing.You know Google make updates to the Penguin algorithm and on May 26 Matt Cutts announced the 1st Penguin algorithm data refresh and the announcement was made via tweet. The below infographic from E-Web Marketing is the overview of Penguin update to protect your websites and blogs from further updates. Loving the illustration on this, very well done. Did you draw the penguins and the cliffs yourself or did you purchase a vector to do it? So far my website has not really been affected but I am keeping an eye on it. I haven’t done a lot of s.e.o work in a long time and I really need to get back into it and keep on top of it.